INO (1888) The 98 ton wooden schooner Ino drug anchors, stranded and was lost at 4:00 a.m. Thursday August 8, 1888 at Cape Smith (Smyth) near Point Barrow along with four other whaling vessels in a strong gale. The schooner Jane Grey and barks Young Phoenix, Mary and Susan and Fleetwing were also wrecked; caught on the same lee shore. All crews were rescued by the Revenue Cutter Bear. The Ino hailed out of San Francisco and had a crew of 21 with captain Nicholas Wagner of San Francisco at the helm. Her value at the time of the wreck was $23,000. 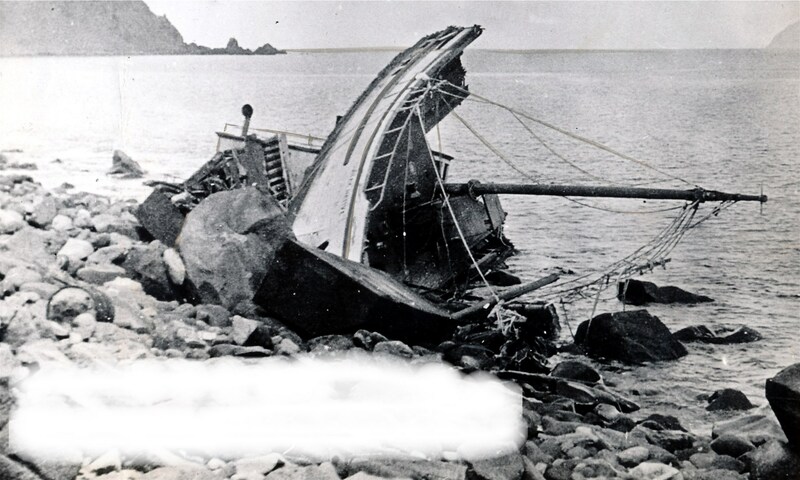 She had a cargo of ballast, stores, whaling gear and goods also reported lost with the Ino. The Ivy was valued at $5,000 with $4,000 worth of insurance on the vessel.